This impressive and well established hotel is well known in the resort of Selva. 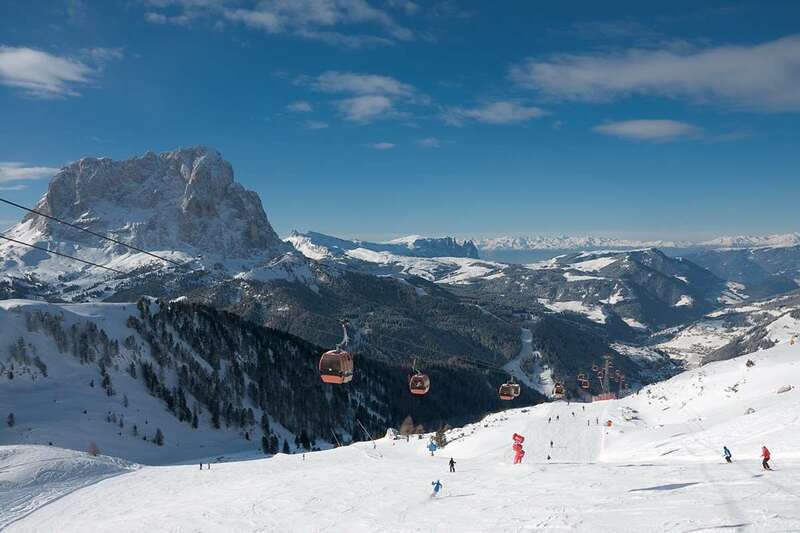 Recently modernised, it is full of Val Gardena style and tradition, with cosy public rooms, open fires and the famous warm wooden décor which is handcrafted in Selva. Location: 2 minutes’ walk (200m) from the centre of Selva and 8 minutes’ walk (800m) from the Ciampinoi cable-car. Free shuttle bus to the lifts. All rooms are light and spacious with balcony, bath or shower, satellite TV, hairdryer and safe. 4 course evening meal with choice including salad and vegetable buffets. The restaurant is famous for its local and international cuisine supported by a good wine list. A highlight of the week is the gala dinner with Tyrolean specialities.